As a Jakartan, it’s only meant to be for Rama Raditya to care about the city he lives in. Just like any other developing countries of the world, Indonesia has its capital tagged with problems. The only thing Rama could think of to do his part was the product that’s gonna help ease these capital problems and people who live in it. Rama simply believed that every problem in the city can be traced and solved through technology. He then created Qlue (CBN-ID000000292), an app that helps people who use it to connect to authorities and report Jakarta’s classic problems such as flooding, bribery and damaged roads. Stakeholders in charge then will have the information needed to tackle and solve these problems effectively and collectively make Jakarta a smart, technology driven city. 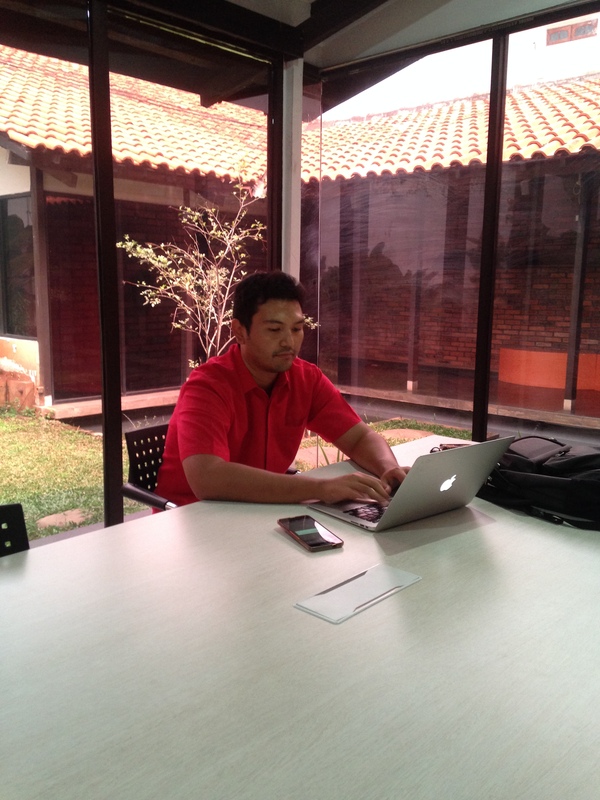 His brilliant idea was rewarded with the use of the apps in 14 cities in Indonesia, helping not only Jakarta, but other developing cities as well to be smarter. Rama did admit that even though his product is a huge success, he still has difficulties in finding good partner and managing cooperation with government authorities. Not to mention the socialization of the products to the society, and all these are still among things he and Qlue need to address despite the 1 million users the app already acquired. With its rapid development, Qlue has already expanded its products to be able to provide real-time traffic data with specific street analysis and its recommended system based-solution through its Smart Mobility. The other championing product it has is Smart Environment, enables people to monitor energy use in real time and adjust the required energy level to save energy and money. Knowing all these, it’s hard to imagine when Rama shared that it was almost a flop. “We were summoned in front of the governor at that time, Mr. Ahok, as well as the acting police general, with media ready to cover our product. At that time, the system wasn’t ready to launch but we need to go ahead with the live demo. So we just crossed our finger and did it anyway. We almost didn’t make it,” Rama shared over our call. Luckily, that didn’t happen and Qlue has become the smart city solution most people turn to nowadays.